The Nike Sock Dart “Midnight Navy” colorway is finally arriving to retailers to go along with the full lineup Nike Sportswear will be releasing for Spring/Summer 2016. This release is dressed in a Midnight Navy, Black, Medium Grey and White color scheme. The shoe features a full Navy Blue-based upper that’s built with a jacquard woven material that rests atop a White midsole. Other details to the shoe includes Black detailing throughout the entire silhouette. 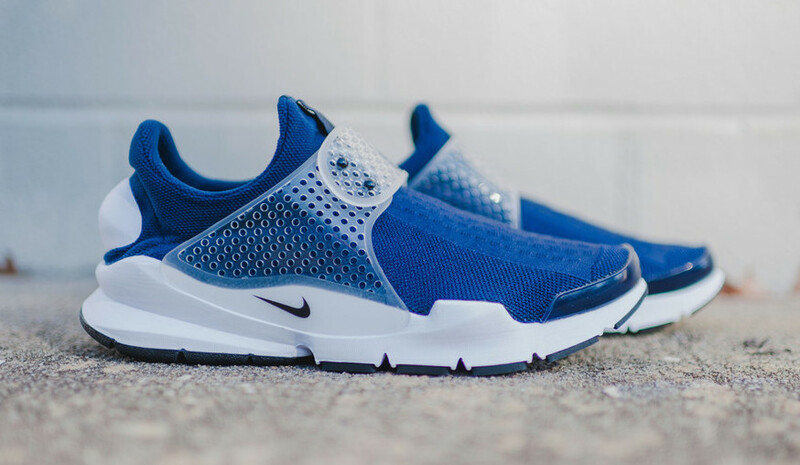 Check out the additional images below and look for the Nike Sock Dart Midnight Navy available now at select Nike Sportswear retail stores, including shops like Rock City Kicks. The retail price tag is set at $130 USD. Next articleadidas Yeezy 350 Boost “Turtle Dove” Releasing Again in May?